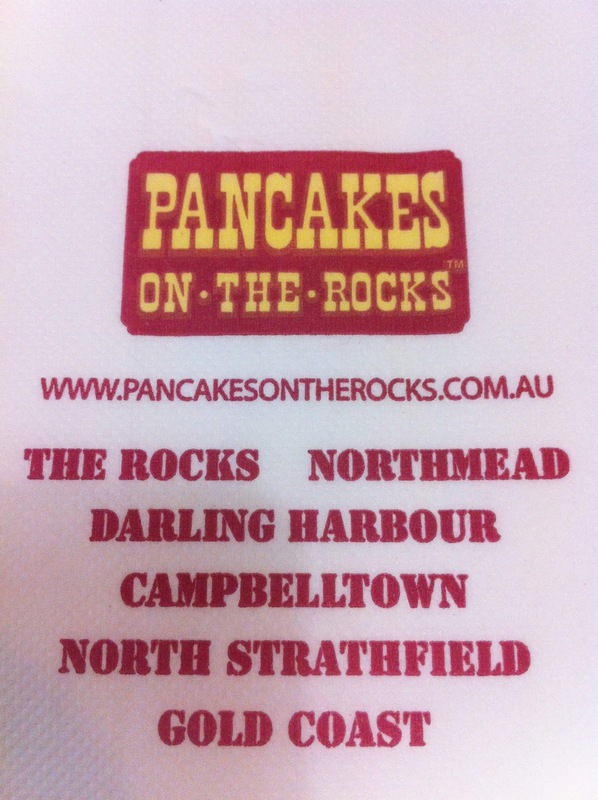 Pancakes On The Rocks is my ultimate and ideal location for a midnight dessert splurge. Their pancakes are the epitome of greatness and the sight of them alone will take your breath away...and most likely that flat stomach you had prior to devouring it. I was so excited when the North Strathfield store opened because it meant no more long queues outside the popular CBD ones. The North Strathfield Pancakes is very spacious in size and there's generally not a big crowd - which really just means that I get my pancakes faster. And that's all that matters. The thing about Pancakes is that they don't just ace in the sweet department as their savoury dishes are just as mouthwatering yummy. 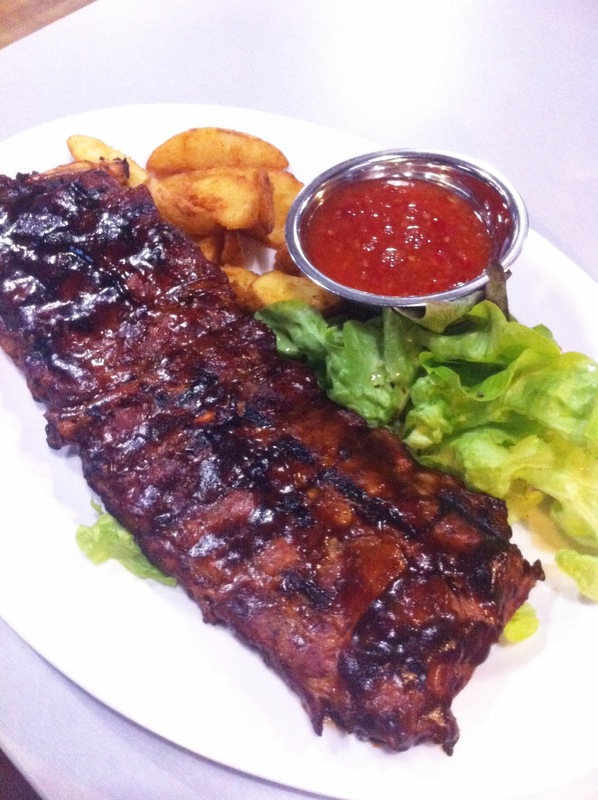 The rack of Pork Ribs ($26.95) was a pleasant surprise as the meat literally slided off the bone in smooth precision. The size of the bones made my eating more elegant too, which in the world of ribs, is considered a miracle. 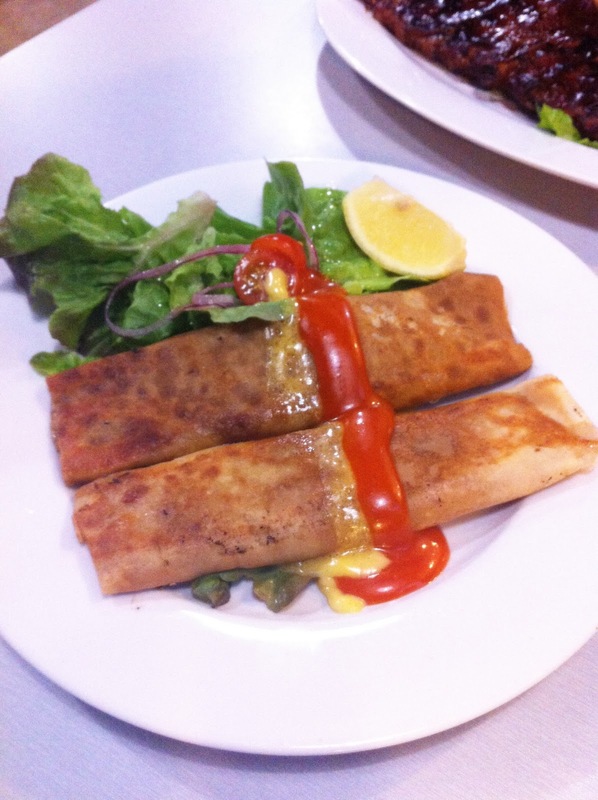 M has always been skeptical about the thought of savoury crepes and so it was essentially his first time trialling a non-dessert crepe. The Chicken & Mushroom Crepe ($15.95) failed to disappoint as it was absolutely beautiful with its creaminess and chicken stuffing inside the thin crepe skin. It's made us want to try some of the other crepe options next time! Now, to the real deal of this place. PANCAKES! Not only are the pancakes reasonable in pricing but the serving will make any foodie beam. 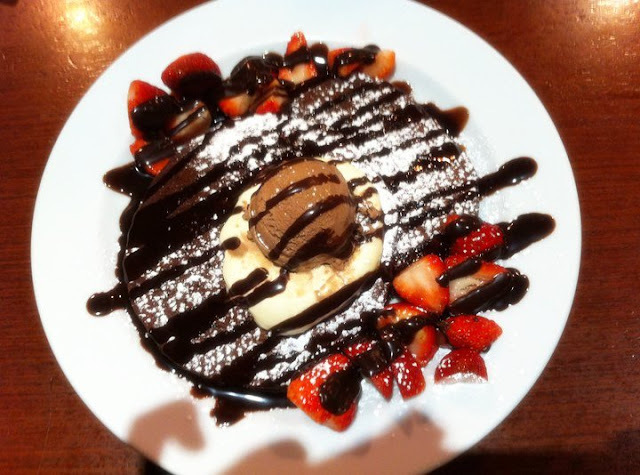 My ultimate pick would have to be the Devils Delight ($13.95) which consists of chocolate pancakes with cream, strawberries and chocolate ice cream drizzled in chocolate sauce. The sight of this plate alone will have you salivating for hours. Designed for the chocolate lovers and all things aeshetically magnificent. 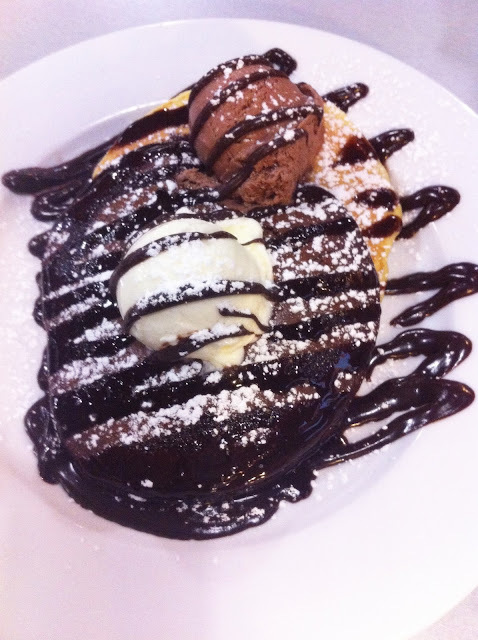 Another favourite would be the Vanilla & Choc Surprise ($10.95) which includes one buttermilk pancake and one chocolate pancake, with vanilla and chocolate ice creams, drizzled in chocolate sauce. As M is not the biggest fan of strawberries, we tend to order this all the time because it does provide a good balance of flavours. The Devils Delight, although wonderful, can prove to be too heavy for some with its full chocolatey flavours. I love, love the vanilla and chocolate ice cream combination here: always combine chocolate ice cream with the buttermilk pancake and vice versa!